This Black Source Four PAR PARNel with Dimmer and Edison Connector from ETC features a wave-lens design and easy focusing knob. It lets you quickly access a range of 25 to 45º, a smooth, soft, and symmetrical field that you can spot or flood as needed. 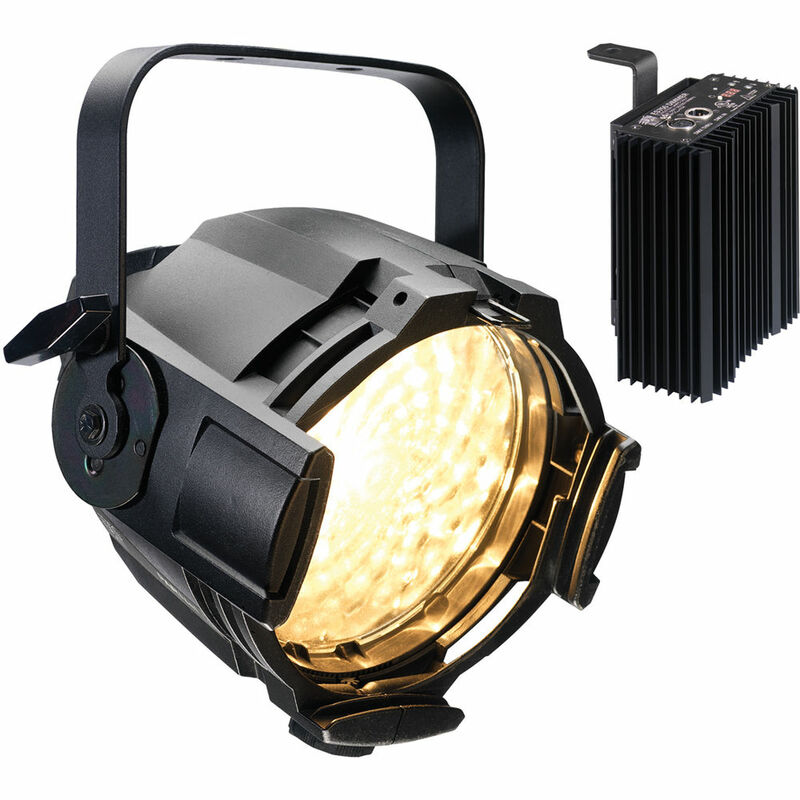 It delivers Fresnel-like functionality and the performance of a Source Four PAR. The Source Four PARNel comes with an integrated dimmer. The Source Four Dimmer delivers high-performance in tungsten-lighting applications. Using the Electronic Silent (ES) technology and a convection-cooled design, this high-performance dimmer can be placed in acoustically-sensitive venues. By directly taking DMX control signals, this self-dimming tungsten fixture resides alongside LEDs and moving lights, thereby allowing system designs to focus on switched power and data distribution instead of the centralized dimming systems. This dimmer can be used in applications requiring distributed dimming and position flexibility such as theaters, hybrid incandescent, LED and discharge systems, industrial productions, rentals, conference and exhibition centers, multi-use venues such as schools and meeting rooms. Socket (Lampholder) HPL Quick eXchange Socket. Box Dimensions (LxWxH) 17.5 x 17.2 x 16.25"